Available as low as $2.99 per oz over spot! 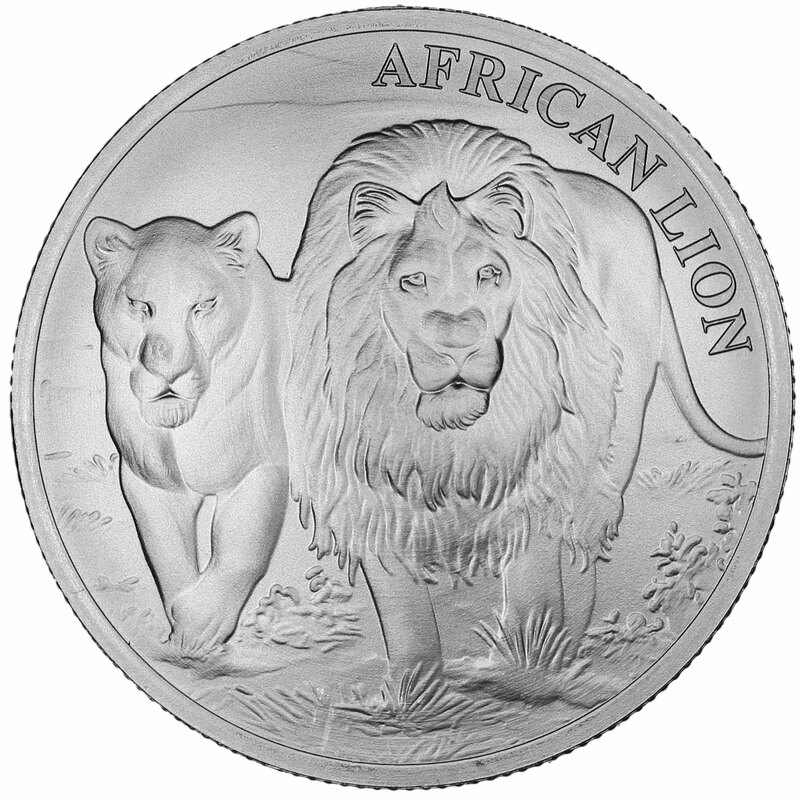 It’s quite the honor for any creature to be known as the “King of the Jungle,” and as such it only makes sense that the African lion feature prominently on a brilliantly designed bullion coin. 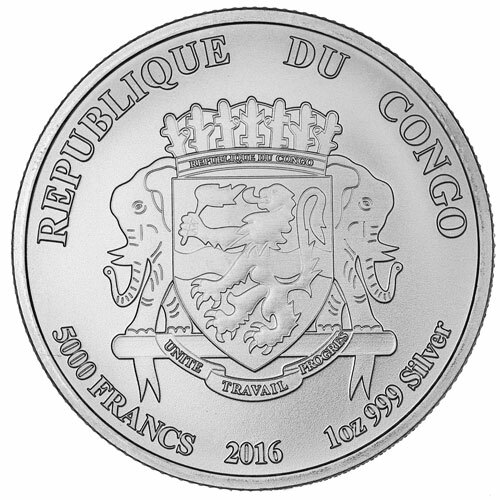 The Silver Congo African Lion is part of a larger African Lion series that features coins released for the nation of Burundi in 2015. Right now, the 2016 1 oz Silver Congo African Lion coin is available on Silver.com. Mintage of these coins capped at 50,000 in total! Second annual striking of the African Lion Series. Individual coins ship in flips and lots of 20 ship in tubes. Bears a face value of 5,000 Francs (Republic of Congo). 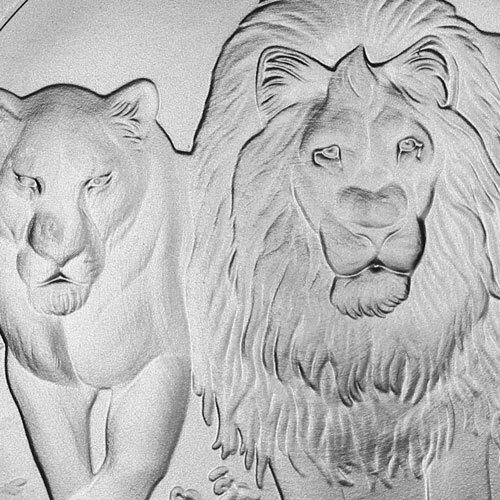 Features the image of a male and female lion. The African Lion Series of bullion and proof coins is just two years old, and already it has undergone some significant changes. These coins were first introduced in 2015 as the Silver Burundi African Lion coin. 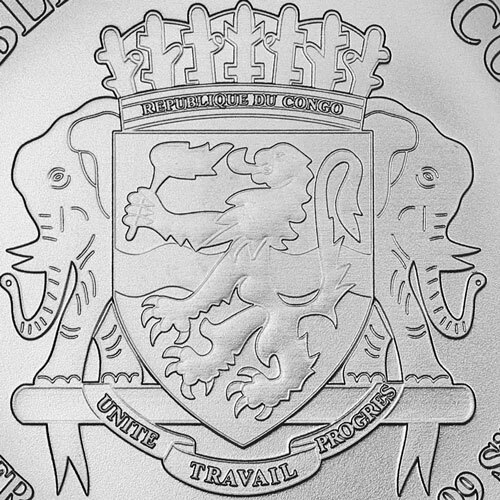 However, due to political unrest in Burundi, the coins are now issued under the authority of the Republic of Congo. Like so many other bullion coins, the second change in the 2016 Silver African Lion is less political and more design oriented. The obverse image of the African lion and the engravings accompanying the depiction have changed for 2016. Each of the 2016 1 oz Silver Congo African Lion coins in this Silver.com listing are Brilliant Uncirculated specimens. Coins with a BU grade exhibit no signs of wear and tear, though you may notice flaws such as breaks in the luster or spotted surfaces. Please direct your questions to a Silver.com associate at 888-989-7223, chat with us live online, or submit your questions via email. If you are interested in similar products, be sure to check out our selection of Foreign Silver Coins. Just got my 2016 Congo Silver Lion and love it! It is BU condition just as advertised. The lions are kind of faint, but that is the design of the coin as the reverse of the coin is in a higher relief. Anyone that loves wildlife would love this coin. Great turn around time from when the order was placed and arrived. About four days! Packing is discreet too. Will be sure to do business with Siver.com again. Thank You so much. Only Question is What size Air-tite coin holder does it go in? I think it looks like a 39mm, but would like to be sure.